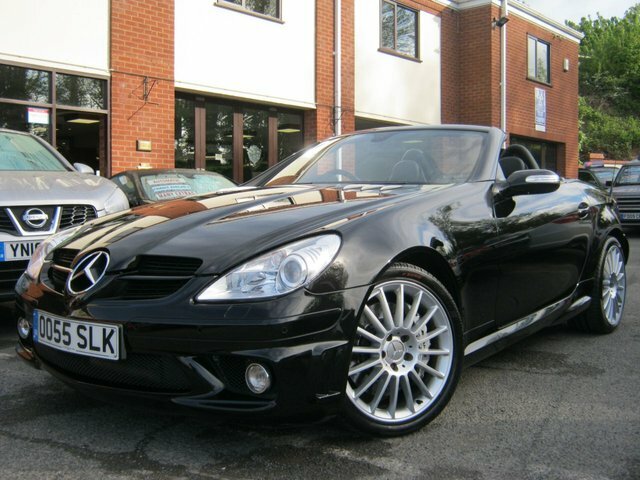 This amazing example of a 2006 56-Reg Mercedes SLK55 AMG 7G Tronic Auto must be seen,driven and heard!!!! with only 38,000 miles from new and Full Mercedes service history you really will not find one better!!! it comes fully loaded with extras including factory sat nav and bluetooth pone prep,Harman Karden Hi-Fi,heated electric memory seats,Air Scarf,Xenon headlamps,auto lights and wipers,front and rear parking sensors,multi spoke alloy wheels,cruise control,climate control,flappy paddle gear change and fully colour coded exterior with AMG styling! the first person to see this will buy without doubt!!! 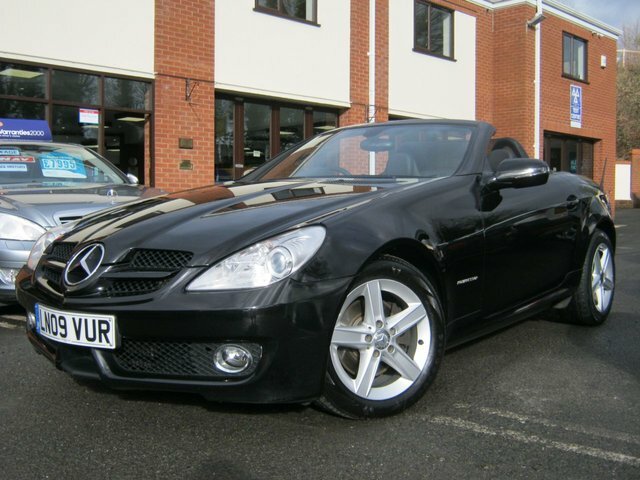 This stunning little 2009 Mercedes SLK200 Sport Auto looks and drives superb!!! it comes with extras including factory fitted bluetooth phone prep,full black leather trim,Xenon headlamps,cruise control,climate control,auto lights and wipers, alloy wheels and cd player,great value for a facelift SLK with full sport styling and alloy wheels, supplied with nice service histoy and is amzing value for money!!! A sports roadster with sweeping contours, a folding metal roof, clever tech throughout and a refined interior. What's more, this is a practical car that can cope with everyday life and is affordable to run. It's a car that will ensure you stay comfortable on long journeys and is a real pleasure for short bursts down country lanes in the middle of summer. Come and view the latest stock of used Mercedes-Benz SLK models for sale in Worcester here at BJH Motors and Sons today. A member of our team will ensure you receive a warm welcome and will guide you through the full range of used cars available.